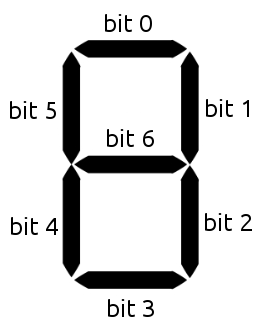 This is the description of the Perl API bindings for the Segment Display 4x7 Bricklet. General information and technical specifications for the Segment Display 4x7 Bricklet are summarized in its hardware description. Returns the segment, brightness and color data as set by set_segments(). The returned array contains the elements segments, brightness and colon. You can stop the counter at every time by calling set_segments(). This callback is triggered when the counter (see start_counter()) is finished.